Coach Keith Ruiz started his basketball career at South Side High School where he was a 2-year starter, Captain and an All-County player his Senior year. 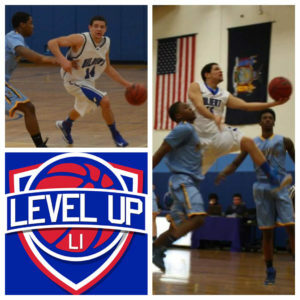 From there, Ruiz went on to play at SUNY Fredonia where he played for 3 seasons where was a Captain his senior year. Coach Jesse Winter started his basketball career at South Side High School where he was a 2-year captain and a standout player. 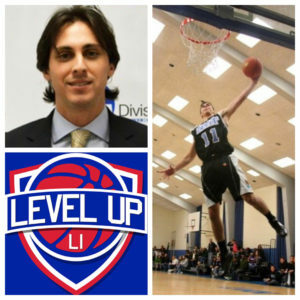 Just recently he was inducted into the program’s Hall of Fame for his achievements of being All-Long Island and leading the team to the Nassau County Championship Games. After high school, Jesse played at SUNY Cortland where he was a 2-year Captain. For the Red Dragons, he was the All-Time Leading Career Scorer in the school’s history, 2nd All-Time in assists and a 2-time All American that helped lead the team to a SUNYAC Championship that advanced to the 2nd Round of the NCAA Tournament. 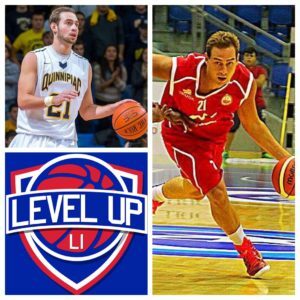 After College, Jesse played 1 season of professional basketball in Israel in the National League for Ramat Hasharon. Jesse is currently a FIBA Certified basketball trainer. Coach Evan Conti started his basketball career at Holy Cross High School where we was a standout player and Captain in his senior season. 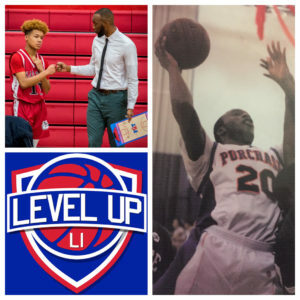 He finished 5th All-time in scoring and earned 1st-Team in the CHSAA, which is one of the best high School leagues in the country. Additionally, he was selected to the Jewish Sports Review All-American Team and 2nd-Team All-City by the New York Post, Daily News and was also a McDonald’s All-American game nominee. Conti was the MVP of the 18th world Maccabiah Games for the 16U age in 2009 leading them to championship victory with a game high in points. Fast forward a few years later to 2013, he won the gold medal in the 19th Maccabiah games in 2013 for the Open team under legendary European coach Brad Greenberg. After high school, Evan played Division 1 Basketball at Quinnipiac University where he played 121 career games and had a successful career. After College he played 3 seasons of professional basketball in israel for Hapoel Be’er Sheva, Hapoel Migdal Haemek and Hapoel Afula. Currently, he is the Interim Head Coach at NYIT. 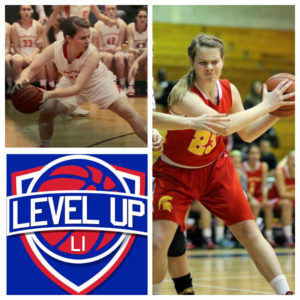 Coach Kristin Ciccone started her basketball career at Long Beach High School, where she was a 4-year starter, Captain and an All-County Selection. 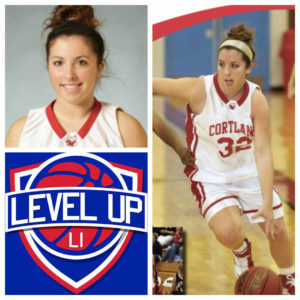 From there, Ciccone attended SUNY Cortland to play college basketball. As a Red Dragon, she helped lead her team to 3 NCAA Tournament appearances and an overall record over her 4-year career of 97-19 which is a school record. Individually, she lead the team her Junior year in minutes played, assists and steals and as a Senior she lead the team in steals for the 2nd straight year. After college, she was the Top Assistant Coach at SUNY Cortland for 2 years. For the past 7 years, Ciccone has been the Head Varsity Basketball Coach at Long Beach High School. Her program has introduced 2 All-State players, 5 All-County players, 4 All-Class players, 6 All Conference players and 1 Defensive Player of the Year. Coach Maurice started his basketball career at Holy Trinity High School. From there, he went to SUNY Purchase where he played 4 years where he helped his team to 2 conference championships. After college, he got into coaching and skills training. Recently, Mo was the JV Head Coach and Varsity Assistant at Island Trees High School. 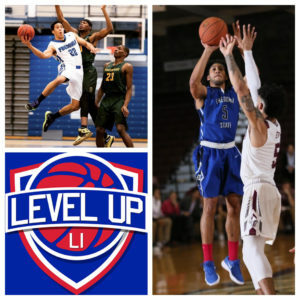 Coach Carlos Valdez was raised in Carolina, Puerto Rico until he was 17 and moved to Hudson Valley, NY to play his Senior basketball season at Minisink Valley High School. 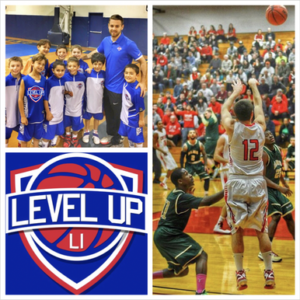 During his one year there he helped lead his team to a Section 9 title. Valdez then attended Mount Saint Mary College and played 4 years of basketball. As a Knight he completed his career as the only player in school history to score 1,000 points and grab 1,000 rebounds. He was an All-Conference player for 3 seasons and was just recently inducted into the college’s Hall of Fame. 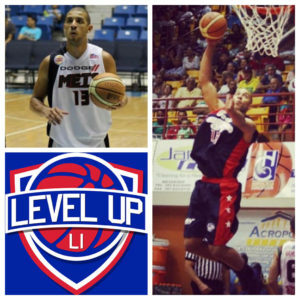 After college, Carlos played professionally in Puerto Rico and the Dominican Republic for 3 years in 2 FIBA Leagues. Coach Trevor Stark started his basketball career at Robert F. Kennedy High School where was a 2-year Captain. He was the school’s All-Time Leading Scorer and finished 2nd All-Time in assists. He then attended Hilbert College in Buffalo, NY, where he was 1st Team All-Conference in his Junior and Senior years. He capped his Hawk career as a 1,000 point scorer and the 8th highest All-Time scorer in the school’s history. He also helped lead the team to its first regular season conference championship. He finished 1st All-Time in free throw percentage and 2nd All-Time in assists. After college Trevor played 3 seasons professionally in Israel for Hapoel Tzfat and Hapoel Maboaim.